It’s versatile and easy to use. Not only is it used for its many benefits, it is nutritious and packed with flavour. With many health benefits ginger has been renowned as one of the greatest “superfoods”. Ginger, also known as Zingiberofficinale is closely related to turmeric. Dating back 5000 years, the Chinese have been using ginger for many of its healing and medicinal properties. However, the healing properties go far beyond remedying colds. Here I will discuss some of the health benefits ginger has and why you should have them every day. 1. Powerful anti-inflammatory properties – The main bioactive compound in ginger is gingerol. This powerful compound is responsible for many of the medicinal properties of ginger. One of these properties include its anti-inflammatory role in the body. Studies have shown that ginger can help improve the symptoms of osteoarthritis. 2. Can help inhibit cancer growth – Shogaol is another active compound in ginger. Combined with gingerol they help fight against many types of cancers with its anti-cancer properties. 3. Antioxidant properties – Antioxidants help remove free radicals within our body. So what are free radicals? Free radicals are molecules which attack your cells and are seen increasingly through age. They cause oxidative stress and can cause DNA damage. Antioxidants can help remove these molecules can promote good health. In some cases research has shown it can improve brain function and protect against Alzheimer’s. Chronic inflammation is believed to be the key component to Alzheimer’s. Consuming powerful anti-oxidants can help inhibit inflammatory responses and help protect against age related brain diseases. 4. Can help with nausea – people who are suffering from nausea, headaches and vomiting may want to try take ginger. Studies have concluded that pregnant woman with morning sickness found a decrease in symptoms. So how do you take advantage of this powerful superfood? 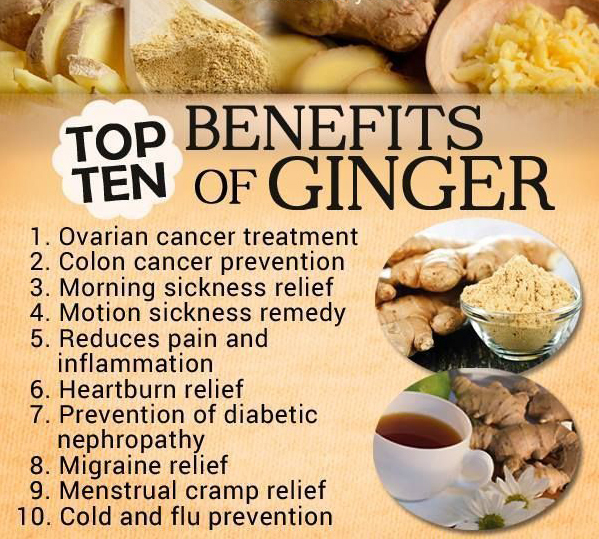 Ginger can come in many different forms and can be used in many ways. Ginger roots can be juiced and freshly put into beverages, soups or food. You can also use fresh cut ginger in tea or drink ginger tea (loose leaf and organic is best). An oil form of ginger is also available which can be taken internally for a boost in gingerol to fight off against free radicals and inflammation. you can also use powdered ginger in food. Ginger is a superfood with many health benefits such as helping you fight against certain diseases, fight against cancer and even helping take care of nausea. Not only is ginger full of health benefits but it is also full in nutrition. Everyone should have ginger and see all the positive benefits for themselves. Interested in how we can help improve your health or your loved ones? Call us 09 418 3718, Email us or fill out our contact form below to discuss your needs and we will let you know if we can help. What Is Magnesium and Why Is It Important.